Can be used with a PC or laptop or with a mains plug adapter (not included). 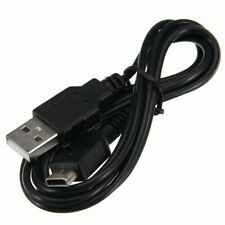 1 x USB Charging Cable for Nintendo GBM. Protective circuit to prevent overcharging (IC chip). Current limited, with reverse circuit protection. Cable Length: Approx.1.2m. Small size, streamlined, all sealed, easy to carry. Our goal is to provide gaming at affordable prices, along with the nostalgic qualities that retro and modern gaming provide. We aim to provide the gaming community with the best value for money accessories and parts for video gaming. 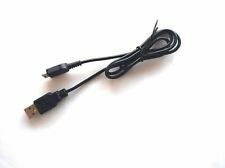 Ideal for travel, can use this cable in any available USB socket. Length: 1.2m/3.94ft (Approx.). Portable and lightweight cable, easy to carry. 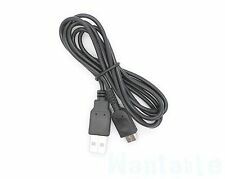 Nintendo Game Boy Micro USB Charging Charger Power Cable GBM, Free UK Post! Tap here to view a full product description. Cable Length: 1.2m (3.94ft). Portable-small & light weight cable, easy to carry. Due to the difference between different monitors, the picture may not reflect the actual color of the item. Quantity: 1 PC (other accessories demo in the picture is not included). Cable Length: 110cm Approx. We can however on rare occasions do this. 1 X USB Charging Cable. Cable Length: 1.2m (3.94ft). Portable-small & light weight cable, easy to carry. And due to the difference between different monitors, the picture may not reflect the actual color of the item. Nintendo Wii. Nintendo Wii U. Nintendo DS. Nintendo DS Lite. Nintendo DSi XL. Nintendo 3DS. Nintendo 3DS XL LL. Output: DC5.2V 320mA. Nintendo Wii. Nintendo Wii U. Nintendo DS. Nintendo DS Lite. Nintendo DSi XL. Nintendo 3DS. Nintendo 3DS XL LL. Current limited, with reverse circuit protection. 1Piece Charging Cable. - Current limited, with reverse circuit protection. - Color: Black. Current limited, with reverse circuit protection. - Fully compatible with your laptop and desktop. Price for all:£3.29 You save£0.91. Allows recharging your GBM through USB port of PC. Easy to carry and extra durable, can Use it as USB Charging Cable. Cable Length: Approx 120cm / 47.24". Note: Due to the difference between different monitors, the picture may not reflect the actual color of the item. 1Piece Charging Cable. - Current limited, with reverse circuit protection. I am sure it the right thing you need now. - Color: Black. Also note that monitor settings may vary from computer to computer and may distort actual colors. Cable Length: 1.2m (3.94ft). Portable-small & light weight cable, easy to carry. Due to the difference between different monitors, the picture may not reflect the actual color of the item. · Pocket sized, lightweight, durable! · Current limited, with reverse circuit protection. · Fully compatible with your laptop and desktop. It will also fit the original DS console (not DS Lite or other later models. Can be used with a PC or laptop or with a mains plug adapter (not included). ). Current limited, with reverse circuit protection. - Fully compatible with your laptop and desktop. 1 X USB Charging Cable. Cable Length: 1.2m (3.94ft). Portable-small & light weight cable, easy to carry. Due to the difference between different monitors, the picture may not reflect the actual color of the item. Dead batteries?. Worn-out adapter?. Current Generation. Last Generation. Includes: 1 GBM AC Adapter. Type: Power Adapter. Type Power Adapter. Made In: China. · Protective circuit to prevent overcharging (IC chip). · Current limited, with reverse circuit protection. Type Power Cables/Adapters. NON CONTINENTAL USA AK / HI / PR / APO / FPO / & OTHER US TERRITORIES. A 3-year warranty is promised, your satisfying is our ultimate pursue. 1Piece Charging Cable. - Current limited, with reverse circuit protection. 1Piece Charging Cable. - Current limited, with reverse circuit protection. 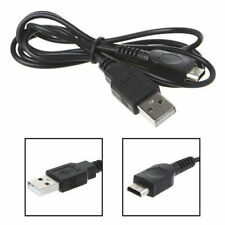 Ideal for travel, can use this cable in any available USB socket. Length: 1.2m/3.94ft (Approx. ).